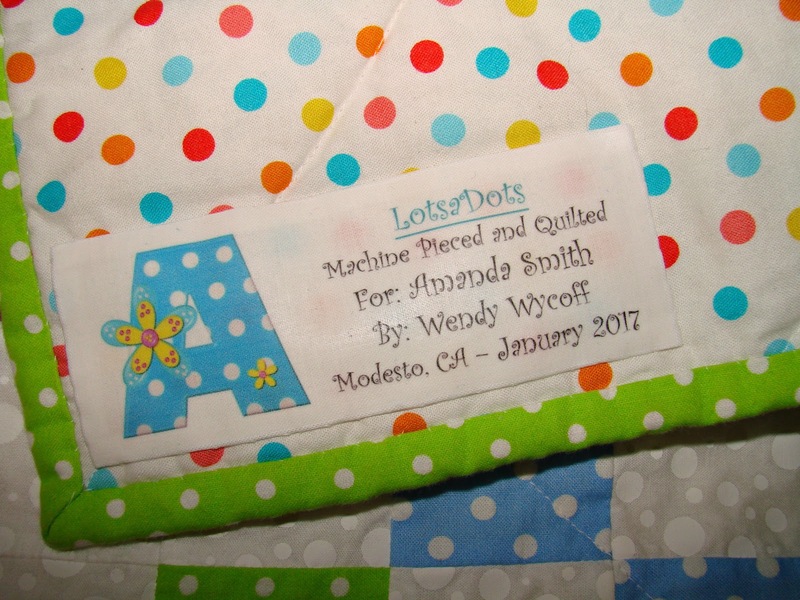 Several years of collecting "dot" fabric finally came to completion in a colorful, fun quilt for a very special person. I used a pattern called "On a Jelly Roll" by Shadow Mist Designs I bought from the Craftsy Website. 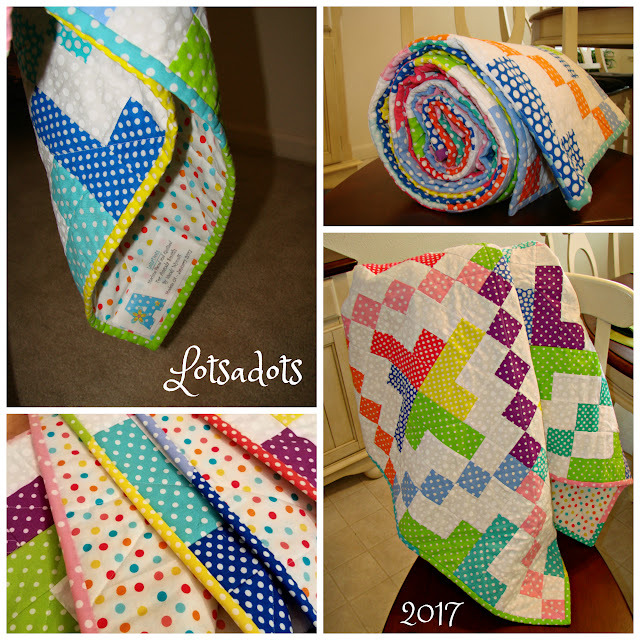 I loved the pattern and thought it would work well with all the different colors. The full top is pictured above and the backing of multicolored dots on white can be seen below between the layers. Such a fun project and I'm so pleased with the outcome. AND someone who shares my love of dots! It was intended for her birthday in July 2016, but you can see by the label it wasn't finished quite by then. We recently had a chance to meet for coffee and to catch up on the latest so I got to give it to her then! warm and cheerful moments to come!